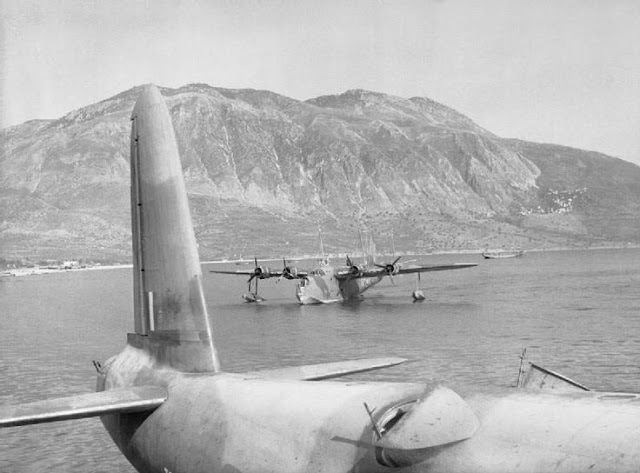 Short Sunderland flying boats in Kalamata Harbor to evacuate British troops in Operation Demon, Kalamata, Greece, April 28, 1941. Operation Marita: Having pocketed Athens without a fight, on 28 April 1941 the Wehrmacht continues to occupy the remaining portions of mainland Greece after collapsing British opposition. The 5th Panzer Division continues its drive across the Peloponnese, pursuing Allied troops that are evacuating as quickly as they can in Operation Demon. Today, three Royal Navy ships - sloop HMAS Auckland, HMS Hyacinth and HMS Salvia, take off 750 RAF personnel from Kithera, while another force of ships takes off 4320 men of the New Zealand 6th Infantry Brigade from Monemvasia. An attempt to pick up troops from Kalamata runs into trouble when the port is found to be in German hands, but four destroyers do manage to take aboard 450 Yugoslavians. The Commonwealth troops literally are fighting for their lives on the docks as the Germans bear down on them. Sergeant Jack Hinton of New Zealand 2nd Division leads a small force to retake the dock at Kalamata. For this, Hinton, shot and taken prisoner, will win the Victoria Cross. Wasting no time, the Germans appoint Günther Altenburg as the Reich Plenipotentiary for Greece. Prime Minister Winston Churchill telephones Middle East Commander General Archibald Wavell from Chequers. He warns of an imminent "heavy airborne attack by German troops and bombers" against Crete. He notes that such an attack "ought to be a fine opportunity for killing the parachute troops." The War Cabinet minutes state that Churchill "felt no regret over the decision to send troops to Greece." The Greek government convenes at Canea, Crete. Prime Minister of Greece Emmanouil Tsouderos requests reinforcements of the island from the British, who already have sent many troops to the island and are sending the troops evacuated from the mainland there. Greek trawler Aixos at Syros. The Luftwaffe also bombs Royal Navy Landing Craft, Tank HMS LCT-5 off Monemvasia. The crew manages to beach the ship, where it is abandoned. The Luftwaffe shoots down a Seagull amphibian plane flying off of HMAS Perth near Anti Kyrethia, Greece. The crew survives by swimming to an island and eventually is picked up by HMS Havock. At Suda Bay, the Royal Navy ceases attempts to repair heavy cruiser HMS York. The York had been severely damaged by the Luftwaffe in March 1941. This leads to the complete loss of the York. Italian forces begin occupying the Ionian and Aegean Islands. Troops land at Corfu. A map on the front page of The Michigan Daily showing the geographical possibilities in the Mediterranean following the German conquest of Greece. As the caption points out, the next Hitler conquest is likely to be Crete. European Air Operations: The British begin their "Channel Stop" campaign. This is an effort to interdict enemy shipping in the English Channel and deprive its use to the Wehrmacht. The Germans have flak ships along the French Channel coast to protect their shipping, so this requires a battle. Today, RAF No. 101 Squadron sends Blenheims against trawlers near Calais, losing a plane to the vicious flak. RAF Bomber Command, No. 7 Squadron, attacks Emden, Germany during the day and Brest, France after dark. Fighter Command conducts a Roadstead Operation and Rhubarb Operation over France. The Luftwaffe raids Plymouth with 124 planes and sinks Royal Navy depot ship HMS Moncousu. Visiting Australian Prime Minister Robert Menzies visits with Air Marshal Lord Trenchard, a hero of World War I. Trenchard, Menzies writes in his diary, is "Against bombing in France, because the bombs that miss kill Frenchmen, whereas the ones that miss in Germany kill Germans." Iraq War: The Royal Navy dispatches aircraft carrier HMS Hermes and light cruiser Enterprise to the Persian Gulf to cover upcoming British landings at Basra. Convoy BP 1 is at sea carrying troops to land there to reinforce British positions in Iraq. East African Campaign: Free French troops move into pro-Vichy French Somaliland. 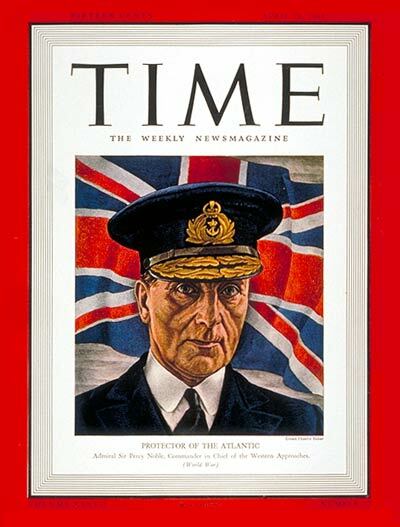 Time Magazine, 28 April 1941, showing Sir Percy Noble, Commander-in-Chief, Western Approaches, based in Liverpool (Cover Credit: ERNEST HAMLIN BAKER). Battle of the Atlantic: A major battle develops around Convoy HX 121 on the North Atlantic convoy route. Called in by U-123 (Kptlt. Karl-Heinz Moehle), which spots the convoy, U-65 (Kptlt. Joachim Hoppe), U-95 (Kptlt. Gerd Schreiber), U-96 (Kptlt. Heinrich Lehmann-Willenbrock) and U-552 (K.Kapt. Erich Topp) participate in these attacks. U-552 starts things off at 04:15 when it torpedoes 8190 ton British tanker Capulet. The tanker is abandoned and eventually sunk by Royal Navy gunfire. There are 9 deaths on the tanker. 8897 ton British freighter Port Hardy (one dead). U-96 is damaged during the aftermath to the attack but resumes its patrol. U-65, however, is sunk by Royal Navy destroyer HMS Douglas in a depth charge attack, and all 50 men on board perish. The Luftwaffe damages 2157 ton British freighter Marie Dawn off Sheringham Buoy and 2824 ton British freighter Empire Strait off Great Yarmouth. Royal Navy transport/trawler HMT Johanna Caroline hits a mine in the Bristol Channel off Milford Haven and sinks with all hands. Royal Navy submarine HMS H.31 collides with destroyer Venomous at Londonderry. Both ships require repairs. Convoy OB 316 departs from Liverpool. Royal Navy destroyer HMS Calpe, mooring vessel Moorfire, boom defense vessel Baronia and submarine P-36 are launched. Canadian corvette HMCS Port Arthur is laid down in Port Arthur, Ontario. US aircraft carrier USS Essex is laid down. 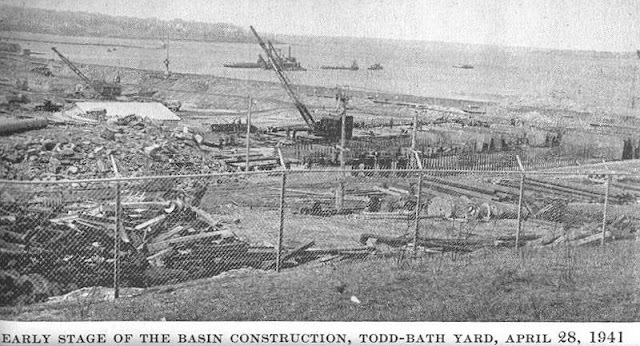 Construction site of the Todd-Bath yard in South Portland where many Liberty ships would be built, 28 April 1941. Battle of the Mediterranean: Following the devastating outcome of the battle on the Greek mainland, the British are feeling very insecure about their position in Egypt. Prime Minister Winston Churchill asks to see all "plans which had been prepared in certain eventualities for the evacuation of Egypt." Major-General Friedrich Paulus a Deputy Chief of the General Staff, remains in Tripoli reviewing Lieutenant General Erwin Rommel's Afrika Korps operations. Italian General Gariboldi, Rommel's nominal superior in the chain of command, arrives in Tripoli to join the deliberations. 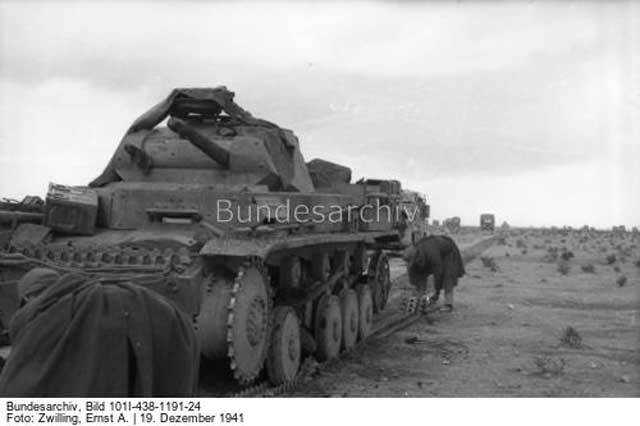 Paulus has halted Rommel's planned attack on Tripoli scheduled for the 30th for the time being. On the ground, both sides conduct patrol activity which the D.A.K. War Diary remarks is "lively." At dawn, the Luftwaffe attacks on Tobruk continue, with the Junkers Ju 87 Stukas concentrating on anti-aircraft defenses and fighters conducting strafing missions. Gruppe Herff continues to edge forward southeast of Sollum, with the British forces having retreated on the coastal plain. The Luftwaffe bombs and sinks Royal Navy lighter A-15 while on a rescue mission to help another ship, sinking Greek contraband chaser A-3, at Monemvasia. All aboard perish. The Luftwaffe mounts a large raid on Malta. The German bombs hit destroyer HMS Encounter in drydock, damaging it, along with anti-submarine trawler Coral and minesweeping drifter Trusty Star. The bombs sink minesweeper HMS Fermoy. The Royal Navy tries a new tactic to supply Malta. Instead of sending convoys, it despatches unescorted freighters which seek safety from stealth rather than defensive escorts. Freighter Parracombe carries 21 cased Hurricane fighters to the island along with other supplies. The Parracombe flies a Spanish flag first, then the French flag. This is Operation Temple. Another convoy, MD 3, departs from Malta to Gibraltar. Force H returns to Gibraltar after successful Operation Dunlop, a mission to deliver RAF Hurricanes to Malta. Obfw. Joachim Marseille shoots down a RAF Blenheim bomber near Tobruk for his 8th victory overall and 2nd in North Africa. In this picture from the 28 April 1941 issue of Life Magazine, steamship Cadiliac is caught in the ice while attempting to pass the Mather. 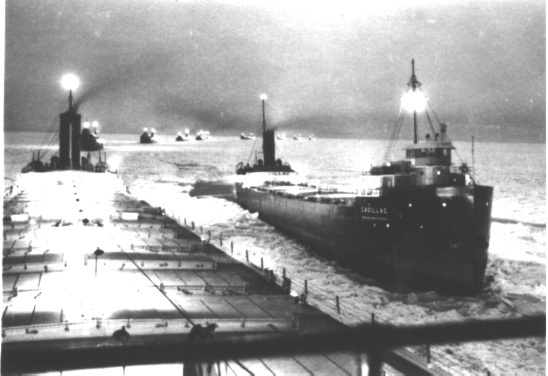 THis is the "Allouez Express," ships transiting the ice-choked Lake Superior. Battle of the Indian Ocean: German raider Pinguin sinks 7266 ton British transport Clan Buchanan in the Arabian Sea east of Sri Lanka. The Pinguin takes on board the entire crew of the Clan Buchanan. Radio signals from the Clan Buchanan alert nearby Royal Navy forces, which set out in search of the raider. Spy Stuff: Concluding what is widely viewed (at least in hindsight) as a fact-finding mission for the US military, Ernest Hemingway departs from China. His wife, Martha Gellhorn, continues on to Burma. Hand over 1,000 Italian officers to the Free French in Central Africa as working capital, and announce that for every Free Frenchman shot by the Italians, two (or three (?)) Italian officers would be executed. The question is whether an announcement of this kind might not be advantageous.... On the whole, I think we should give the Italians to de Gaulle and let him say what he likes about it. This is a matter upon which I have reached no final conclusion. Italians shooting war prisoners out of hand is a war crime (if true); the British turning over Italian prisoners to be shot by the Free French would be a similar war crime (if it were to happen). Churchill does note that the prime consideration weighing against this plan is the fact that "the Huns have 50,000 of our men in their hands" against whom reprisals could be taken. 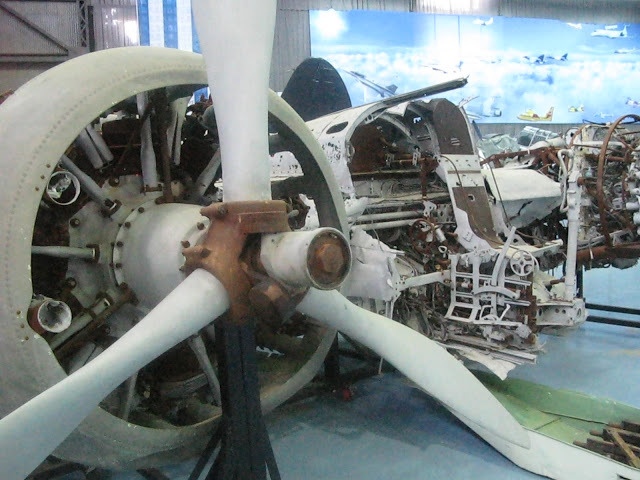 Remains of a Blenheim bomber (Mk IV F) of RAF No. 203 Squadron shot down near Crete by friendly fire on 28 April 1941. The plane went down less than 2 km off the coast near Rethymno, Crete. The crew survived (ww2wrecks.com). Anglo/US Relations: In a rare communication with his ambassador to the United States, Lord Halifax, Prime Minister Churchill orders that Halifax and his staff "not discourage the President from posing his questions direct to me." Churchill is eager to cultivate his "personal relations" with Roosevelt, which he notes are "of importance." In line with an overall British strategy to de-emphasize the Pacific Theater, British Rear Admiral Victor H. Danckwerts respond to a request for advice from Rear Admiral Richmond K. Turner, the U.S. Navy’s Director of the War Plans Division. Turner had asked whether it would be efficient to transfer US Navy ships from the Pacific to the Atlantic. Danckwerts responds that "the consequential reduction in the strength of the United States Pacific Fleet would not unduly encourage Japan." German Military: The army high command (OKH) issues a directive that regular army units are to provide assistance to special Schutzstaffel SS units during Operation Barbarossa. The army is to provide logistical support such as food and ammunition to SS units, which are subject to army orders but have unique missions for which they must operate independently. Just how far this cooperation extends remains a subject of debate, as German army veterans often minimize the extent of regular army participation in some of the Einsatzgruppen (special task forces) activities that involve crimes against humanity. The Waffen (fighting) SS units technically are subject to regular operational orders, but this relationship deteriorates with time and they tend to operate either completely independently or subject to their own whims (for instance, SS units tend to attack when they are good and ready, not at the time ordered). This murky relationship between the SS and the regular army chain of command remains a source of tension throughout World War II. US Military: Admiral Hart in the Philippines establishes Task Force 5 (TF 5). This task force has responsibility for the Singapore area. Charles Sweeney, the future pilot of the crew that drops the atomic bomb on Nagasaki, joins the US Army Air Corps. Australian Military: The Royal Australian Navy employs a dozen Women's Emergency Signalling Corps women as telegraphists at Harman wireless station in Canberra. This apparently is the first employment of women in the Australian Navy. German Government: Having spent the duration of Operation Marita in Austria "overseeing" operations from his command train "Amerika" (something that was completely unnecessary but part of his image building), Adolf Hitler returns to Berlin in triumph. Hitler meets with his ambassador to the Soviet Union, Count Friedrich Werner von der Schulenburg, at 17:15. Count Schulenburg - with Foreign Minister Ribbentrop's approval - submits a memorandum arguing against Operation Barbarossa. Schulenburg later recalls that Hitler was upset that Russia had supported the anti-German "putsch" in Yugoslavia and had begun mobilizing its army. Hitler brushes aside Schulenburg's observation that Stalin is desperate to avoid war and eager to supply grain and other raw materials to Germany; Hitler abruptly ends the interview after half an hour to have tea. Among other things, this incident with Count Schulenburg illustrates that many of Hitler's top lieutenants, including Ribbentrop and Reichsmarschall Hermann Goering, are opposed to Operation Barbarossa. As happens repeatedly throughout the Hitler regime, top figures in the Reich use surrogates to express their own views that are contrary to Hitler's. These surrogates tend to be intimidated by Hitler to one extent or another and press their case weakly. 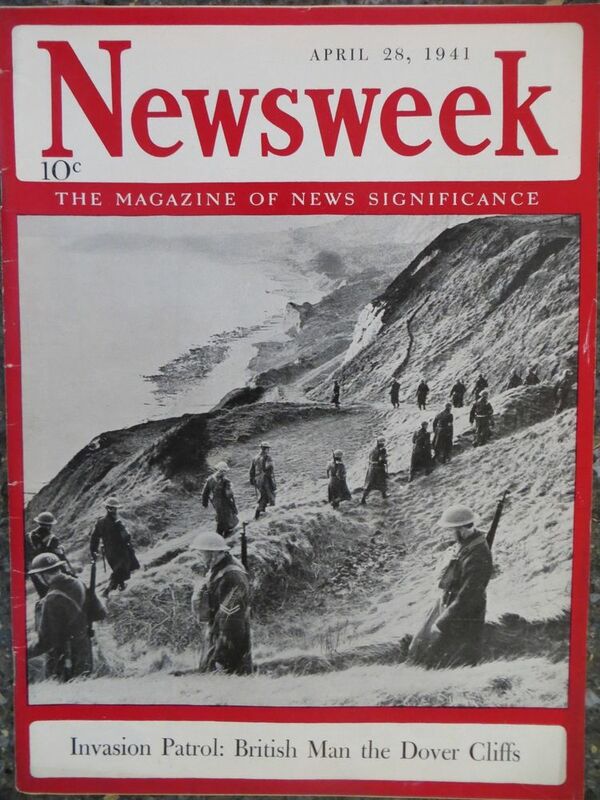 Newsweek, 28 April 1941, cover showing an invasion patrol on Dover Cliffs. British Government: In a War Cabinet Directive, Prime Minister Churchill forecasts that "Japan is unlikely to enter the war unless the Germans make a successful invasion of Great Britain." Accordingly, he directs (through the War Cabinet) that "There is no need at the present time to make any further disposition for the defence of Malaya and Singapore." to advance through Spain toward Morocco to take Gibraltar. He asks for plans to counter this expected German thrust toward Morocco. Menzies, in his diary, questions Churchill's accuracy regarding Commonwealth casualties in Greece and observes that "W. [Churchill] is a great man, but he is more addicted to wishful thinking every day." He openly disputes Churchill in the War Cabinet, arguing that information being supplied to Australia and the United States is bad "propaganda." As usual, though, Menzies receives little support from Churchill's appointees. Norwegian Homefront: The German authorities conduct a massive book-burning as part of a crackdown on "degenerate" literature. Ann-Margret, born on 28 April 1941. American Homefront: Charles Lindbergh, associated in the public mind as much for his America First speeches as for his famous aerial exploits, resigns his commission as a Colonel in the US Army Air Corps Reserve. Among others, President Roosevelt has questioned Lindbergh's loyalties given his strident efforts to keep the United States out of the European war, particularly a well-publicized speech that Lindbergh gave on 23 April 1941. In his resignation letter to President Roosevelt, Lindbergh takes exception to these "implications." Lindbergh still retains a vast reservoir of positive sentiment in the public, however, as many people, including some highly placed politicians, agree with Lindbergh that the United States should avoid ongoing conflicts. During the evening, Lindbergh gives a speech at an America First rally in Chicago. The crowd boos mentions of Winston Churchill and cheers Lindbergh when he recites facts about England's "devastated cities." Resolving a long-standing mineworkers strike, the White House announces that the Southern Coal Operators Wage Conference, a consortium of mine owners, "accept [the Roosevelt Administration's] proposal without equivocation." Roosevelt had proposed on 21 April that the mines be reopened pending continued negotiations over wages. This effectively ends the strike, though negotiations at some mines continue. The Court upholds the Wagner Act, which prohibits anti-union discrimination in the hiring and firing of workers. A Gallup poll is released that reinforces Lindbergh's isolationist position. The question is, "If you were asked to vote today on the question of the United States entering the war against Germany and Italy, how would you vote — to go into the war, or to stay out of the war?" The response of 81% of respondents is to stay out, with only a slight 7% decrease from a similar question asked in January. However, as always, the public is split on the issue. Another question posed is, "If it appeared certain that there was no other way to defeat Germany and Italy except for the United States to go to war against them, would you be in favor of the United States going to war?" The answer to this is 68% favoring entering the conflict and 24% saying no, with 8% having no opinion. To some extent, these polls reflect the embryonic state of the polling industry as much as public opinion, with the questions asked to some extent influencing the responses. Future History: Ann-Margret Olsson is born in Valsjöbyn, Jämtland County, Sweden. She moves with her mother to the United States in November 1946, where they live just outside Chicago. During high school, Olsson joins a group known as the "Suttletones." She begins performing at Chicago nightclubs, and she eventually makes her way to Las Vegas and then Los Angeles. Back in Las Vegas, she drops her last name from her act and becomes known as Ann-Margret. George Burns discovers her, and by the early 1960s Ann-Margret is recording albums. She appears on television programs such as The Jack Benny Program in 1961, and all this leads to a successful screen test at 20th Century Fox, where she lands a standard seven-year contract. This begins a hugely successful film career with roles in such films as "Pocketful of Miracles," "State Fair," and "Bye Bye Birdie." A long association with Elvis Presley began during this time. Ann-Margret continues to act occasionally, and on 29 August 2010 won an Emmy for an appearance on "SVU." 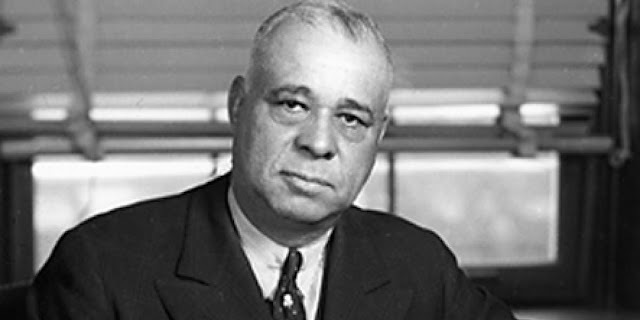 Congressman Arthur Mitchell (D-Illinois), who won a case in the US Supreme Court on 28 April 1941 which held that African Americans are entitled to equal accommodations on interstate railroad trains.